How would these light up leggings look on the dance floor? Or how about using them while running in the evening? Carleyy of Instructables has created a straightforward tutorial on how to make these LED leggings. 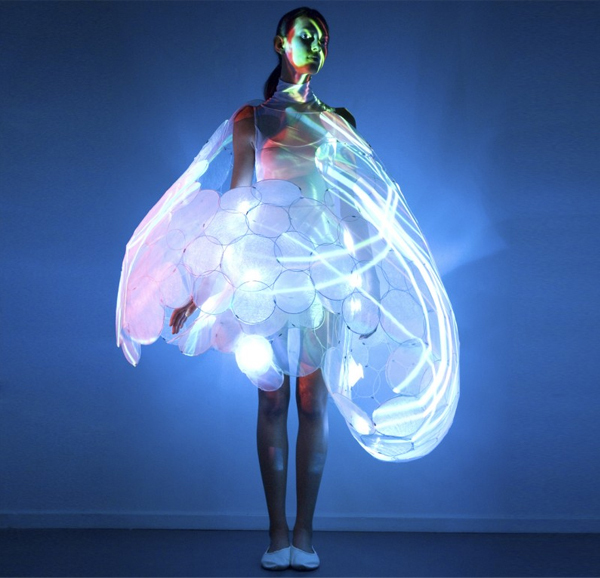 Each legging has 6 LEDs with its own separate circuit. 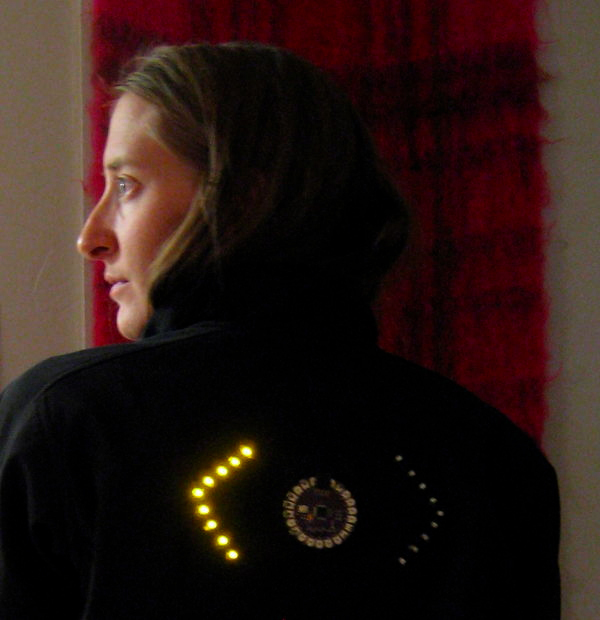 This tutorial can be easily adapted to make light up LED t shirts, light up pants or jewelry. You can find the tutorial here. The Egyptians thought the eyes were the windows to the soul and so mascara was to used to protect themselves from evil spirits. Fast forward thousands of years and head over to South Korea where designer Soomi Park has fused eye cosmetics with LED lighting to create LED eyelashes . In Asian culture, bigger eyes are more attractive. Women will go out of their way, through cosmetics and even surgery, to have bigger looking eyes. This is why Soomi created the LED Fashion Eyelashes. 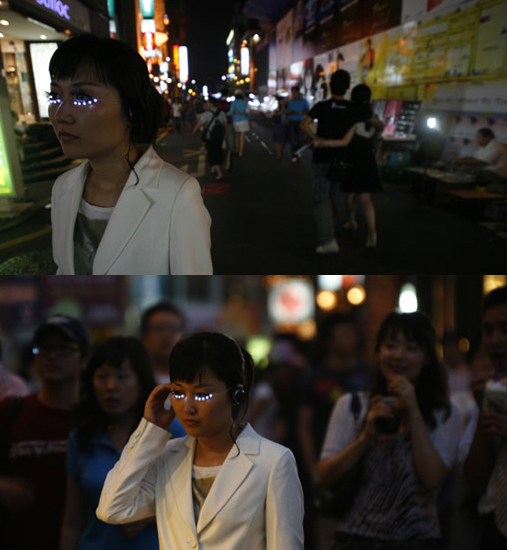 The eye pieces are connected to headphones which house the electronics and even a tilt sensor that allows the wearer to control the lights. The tilt sensor will turn the lights on and off and even make them flicker depending on the direction the head is facing. Instead of having the LED lights fitted under the eyes, would using fiber optics work better?